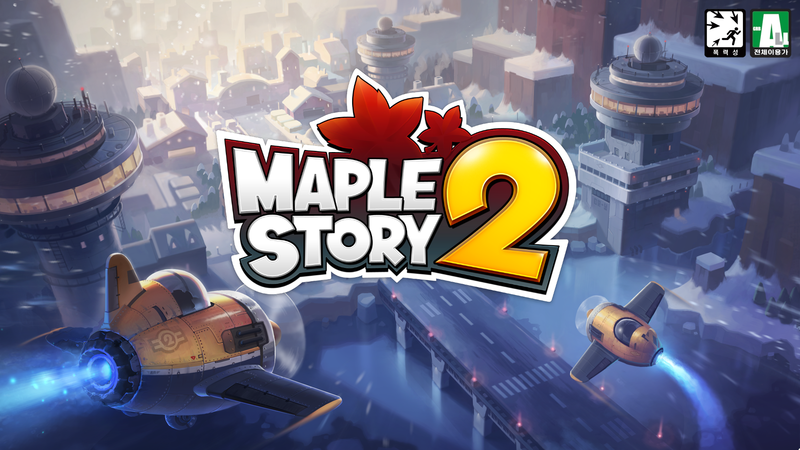 Home > MapleStory 2	> MapleStory 2 – CBT Begins Tonight! 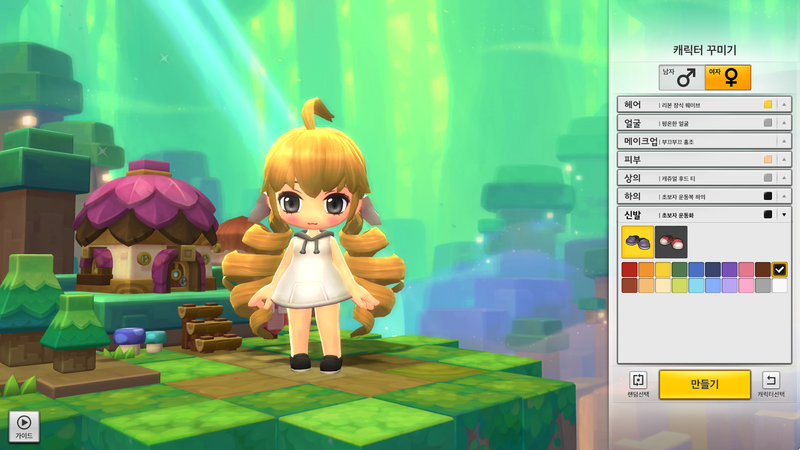 MapleStory 2 – CBT Begins Tonight! Today’s the day! 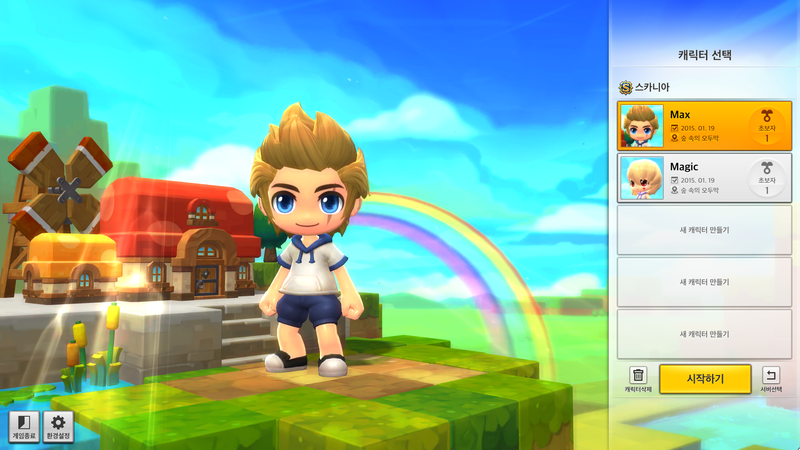 Closed beta testing for MapleStory 2 is opening tonight! 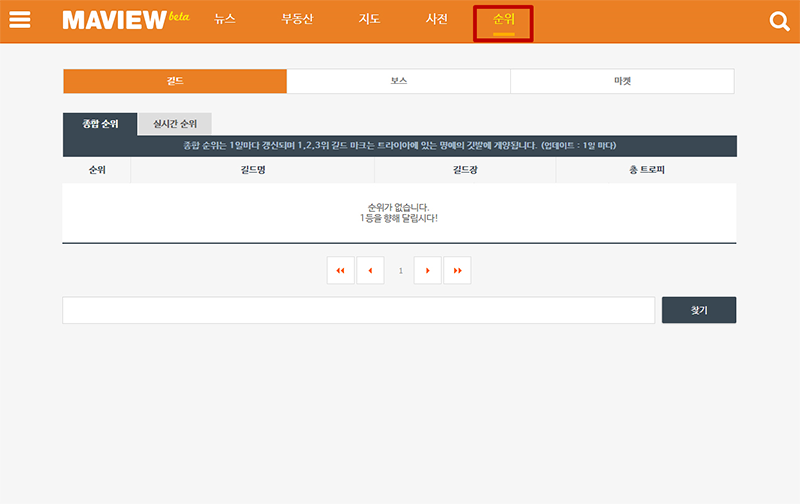 The schedule is 12pm~12am on the 21st, 22nd, and 23rd. Then 12pm on the 24th to 10pm on the 25th. I won’t be able to play much until Saturday so hopefully I can stream then~ I’ll post here if I do. Here’s the server selection screen, with the only world: Scania. Currently we can make our characters before the game servers go online. There are 5 character slots. I love the character creation, there’s so many options! I spent like 20 minutes here just looking at everything haha. Here are my two characters, the first will probably be a Ranger and the second will be a Wizard. I hope I have enough time to play both of them. 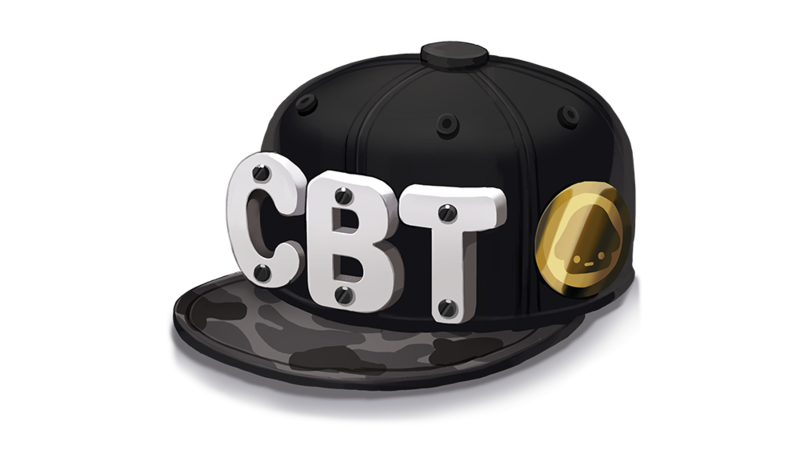 CBT users will receive this special hat in further testing phases to show they were in CBT. 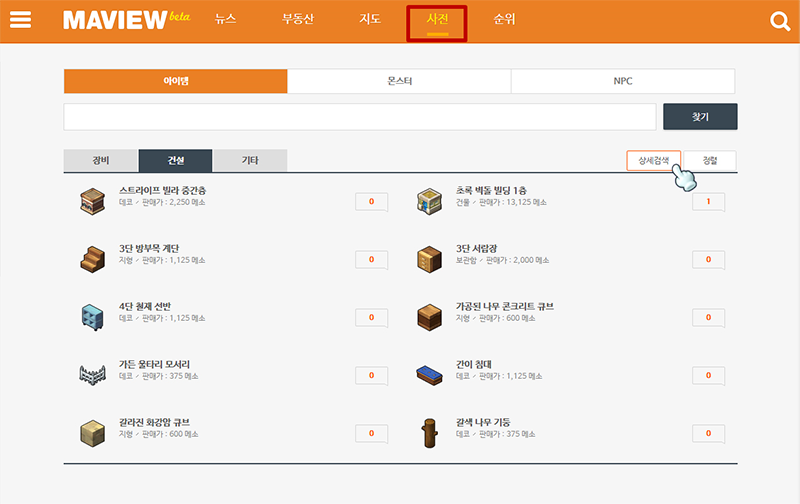 A new feature for MapleStory 2 is Maview. Maview is a special website which is accessible in-game (and also on your computer or phone if you can’t get online). The first tab is for news. Who is the highest level in Maple World? Which bosses can you fight? Who got 1st in Trap Master? The Daily Maple, Golden Home Today, Maple Sports, and Maple World’s Aristocracy are just a few of the media outlets which will bring you news. 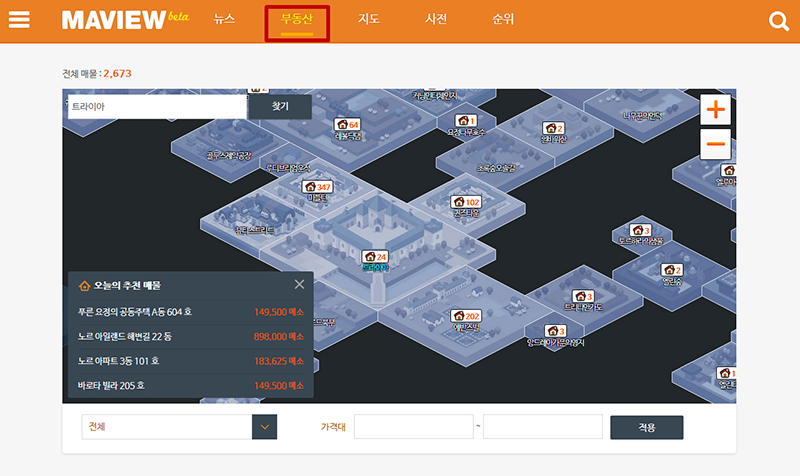 The real estate tab lets you look at property around Maple World, to see if there’s a place that you can make your home. The encylopedia tab is for users who want to see what items they can use to decorate their homes, or what items they’ll get from hunting monsters, or even information on NPCs that you meet. However, some monsters or NPCs might be secrets, and they won’t be included. The last tab is for rankings. It lets you see things like the current guild rankings, which character has made the most money in the market, or maybe you think you were the first one to defeat a boss? Check it out! 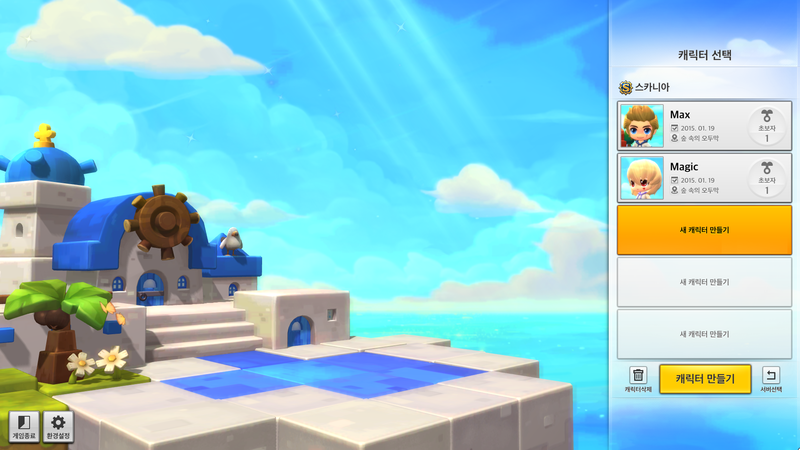 What’s the point of trying to be the number 1 character or guild if there’s no leaderboards, right? Maview is optimized for Internet Explorer 10, 11, Safari, and Chrome. Although it doesn’t have many features yet, please enjoy it in CBT. 1. How many servers will CBT have? CBT will have a single server, Scania. 2. What are the recommended specs for CBT? When you first connect to the game, it will automatically set up the game based on your PC specifications. You can then change them manually in case you would like better graphics or you would like to turn them down to increase performance. 3. Will Heavy Gunner/Berserker/Thief be available? Unfortunately, although we wanted to include them in CBT, they will not be available to play. This is because we have added new PvP content in this testing phase and those three jobs were not properly balanced for it. However, the previous 5 jobs (Knight, Wizard, Priest, Assassin, and Ranger) are available and they have been updated and received new skills, so please enjoy them. 4. Will characters created in CBT be deleted? 5. Will we receive EXP potions in CBT? No, we will not provide EXP potions in this testing phase. We would like for you to level up through hunting. And for those of you who are not interested in that, you can play a lot of minigames, create many characters and decorate your house. We would like to collect data based on playing patterns so EXP potions would hinder our analysis. 6. If I report someone, will they be sent to prison? No, for this testing phase, the prison will not be functional. You can still visit it by talking to Seamus, but users who are reported will not be sent there. However, remember that we are keeping a track of your behaviour. You can still be blocked from the game by GMs so don’t think that you can do whatever you want. 7. What is the member limit for guilds? Currently, guilds can hold a maximum of 25 people. It might feel small but there are not many users in this testing phase. 8. What is the schedule after CBT? Currently we don’t have a set schedule. There are a lot of factors in what comes next, but after the CBT is completed and we can confirm our goals, we’ll let you know through the homepage or our Facebook page. 9. 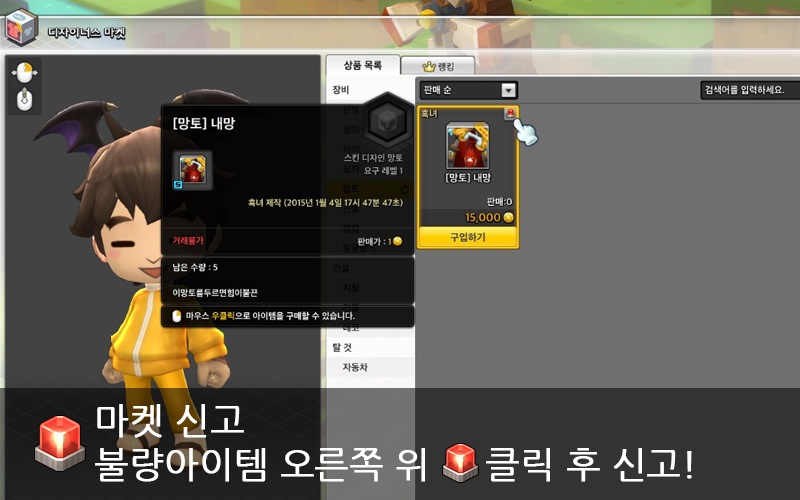 Can I post about MapleStory 2 on my blog or stream it? Yes, it’s all fine. We’re looking forward to seeing great posts. 10. I accidentally sold an item to the store, can I get it back? Don’t worry! You can use the handy dandy ‘rebuy’ tab in any shop to get back an item you have mistakenly sold. But be careful, if you log off, all items in that tab will disappear forever! 11. Where are screenshots saved? 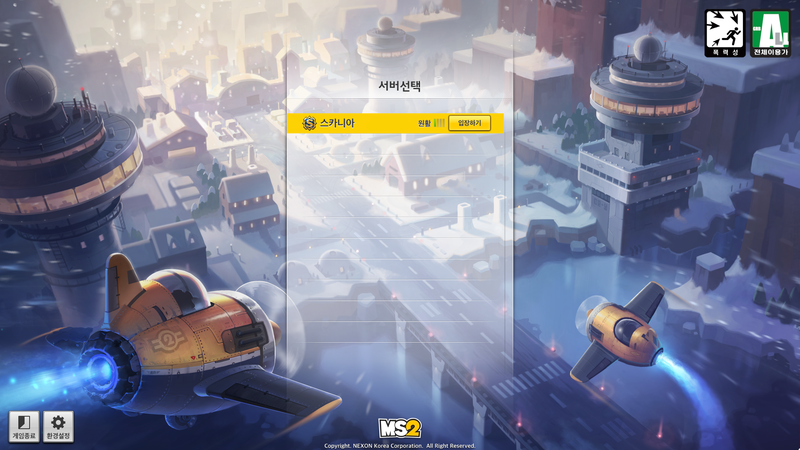 Screenshots can be taken by pressing the Print Screen button, and they’ll be saved in the My Documents > MapleStory 2 > Screenshots folder. Also, you can see all screenshots you take in-game by opening the Screenshots folder in the bottom right of your screen. Field bosses, when spawned, will have a maximum of 50 people imposed onto the map. In the alpha test, there were hundreds of users in one channel which led to gameplay performance issues and lack of visibility. In CBT, we fixed this by using automatic channel feed, which will send you to another channel automatically when a field boss spawns if there are already 50 people in a map. Peak time is a certain period of time where monsters will respawn at a much higher rate than normal. For CBT, this peak time will be from 1:10~4:10pm, so play carefully! For when an event is held far away from you, you can now access massive events by using a portal in Queenstown. Extra. What is the level limit in CBT? Users will be able to level up to a maximum of level 35. The development team also sent out this letter to everyone. 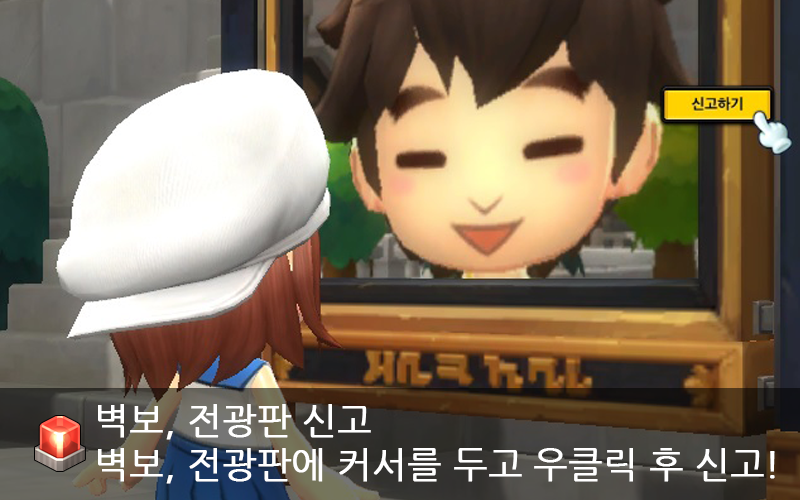 I won’t translate it all but it talks about how happy they are that so many people have showed their enthusiasm for MapleStory 2 and that they will do their best to make it fun. It’s actually really cute haha. Also, they planned CBT to release on January 21, because for those of you didn’t know, KMS’ beta testing started on January 21, 2003 at 11am! It’s been 12 years!! 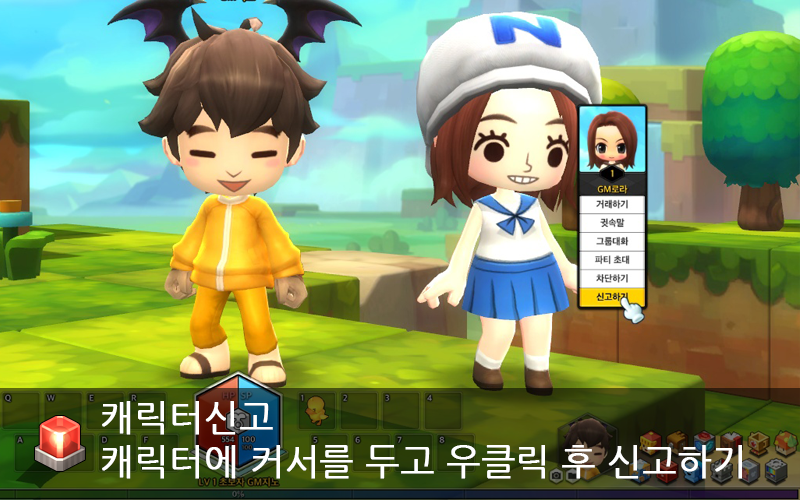 They also made a joke that MapleStory was fully released on April 29, so maybe MapleStory 2 will be as well? Finally, they talked about the Smart Reporting system. 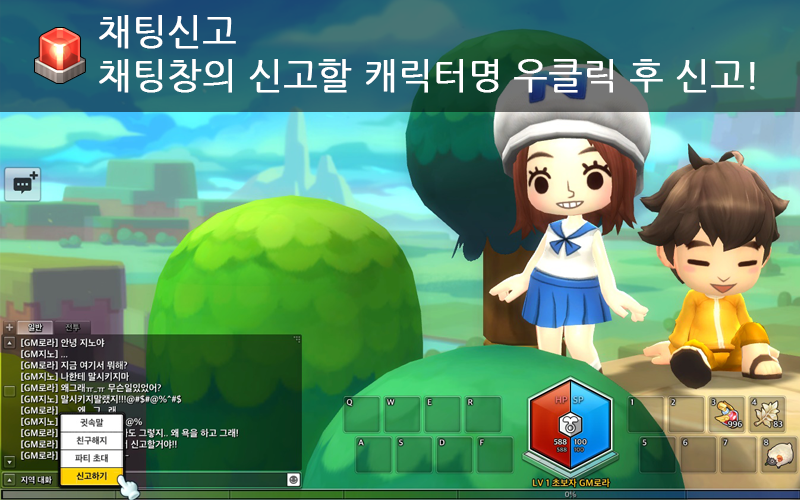 Because MapleStory 2 has such a high focus on customization (including clothes and billboards), they knew it might be abused by some users. Users can report other users who have broken the rules by pressing right click -> report. Users who are reported multiple times will be immediately ‘blinded’, so other users will not be affected by them. 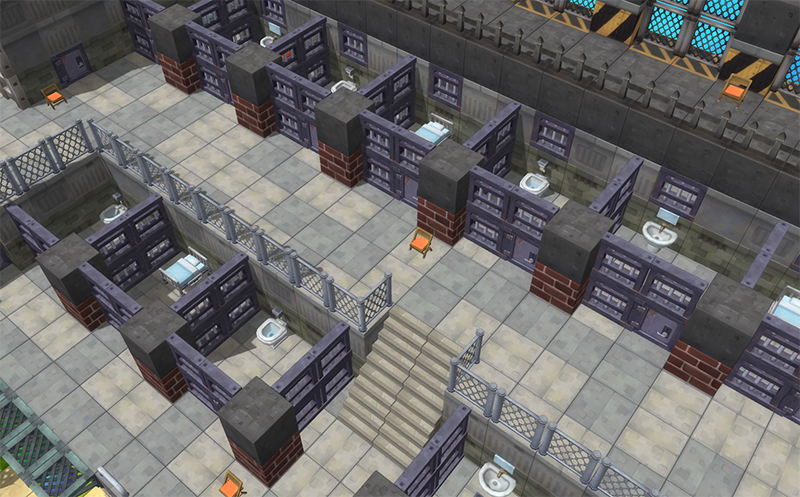 Further misbehaviour will land those users in prison, where they will not be able to participate in game content. The Smart Report system will automatically collect relevant evidence when you report someone, based on the way you report them. For users who are posting abusive or obscene things in the chat, you can right click on their name to report them. Users who abuse the customizable content and wear offensive or inappropriate clothing can be reported by right clicking on their character. When you see a bad poster or billboard, you can report the user who put it up easily by right clicking on the poster. Finally, if a user is selling inappropriately designed items on the market, you can report them by pressing the report icon in the top right of the item. So I used Google translate cause I’m not that great at reading korean. But when it translates it says “The response is an adventurer” Does the adventurer state that I am part of the beta? Cause I keep getting a message which I cannot understand but seems as though the system is rejecting it. How to sign up for the beta? 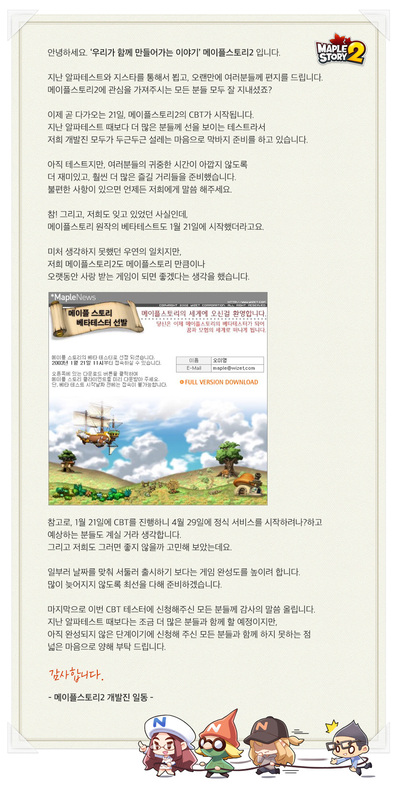 MapleStory was released in April and there was a comment made by the developers on that fact. 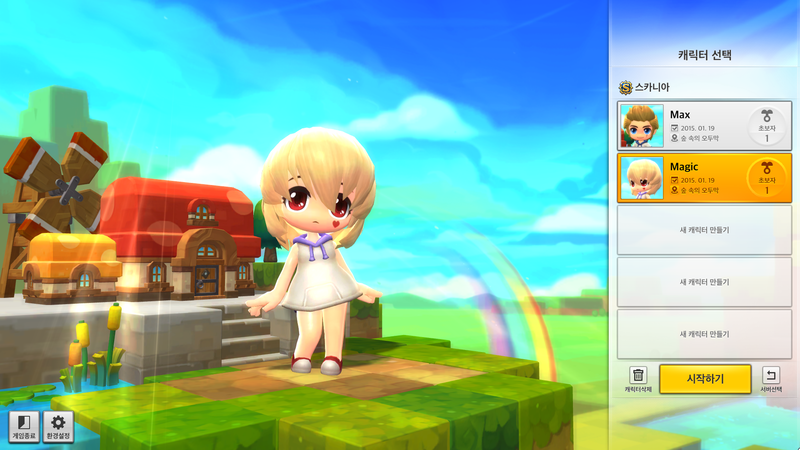 Also they released the CBT of MS2 on January 21 because MapleStory was released on January 21. The person who made that comment wasn’t instigating but bringing up that fact and how hopeful they are that it may come to fruition. Is the game catering specifically to Intel architectures or is it i3/i5 and equivalent? 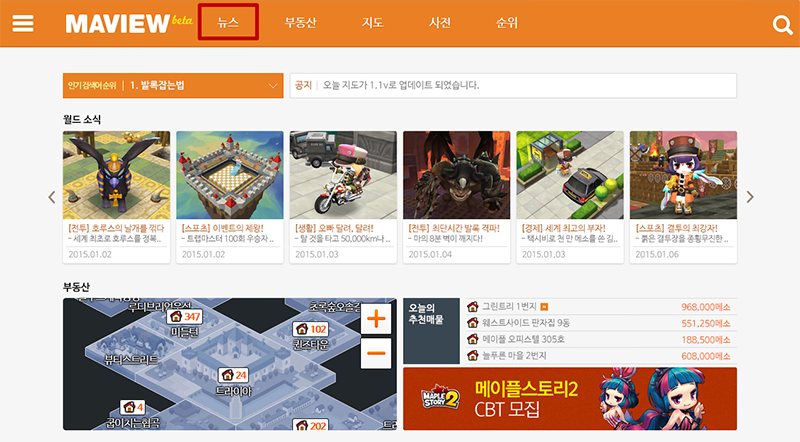 MapleStory 2 – End of CBT! kMS ver. 1.2.227 – Maple Ice & Burn: Mechanical Grave!